As you know, the Marines' Memorial serves Veterans of all eras. Right now we're especially excited about making a difference in the lives of transitioning service members. Word is getting around about our Leadership Lessons Learned speaker series, and it's growing. If you know someone making the transition to civilian life, please tell him or her about Randy Hetrick's talk on the 19th. And please support this important program with a donation to the Educational Fund. If you are interested in sponsoring a Club event, please contact the Development Department at Development@marinesmemorial.org. MEET THE AUTHOR TUESDAY 1 SEPTEMBER, 6:30 p.m. In conversation with local news anchor Raj Mathai, NY Times Magazine chief national correspondent Mark Leibovich brings us on an odyssey into the depths of the NFL. His new book explores recent controversies and the sport's fall from uniting force to "a circus fueled by madness." Presented by the Commonwealth Club in partnership with the Marines' Memorial Association and Foundation. 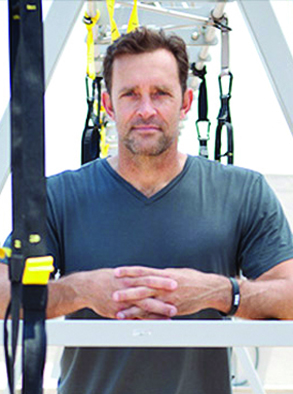 SPEAKER EVENT WEDNESDAY 19 SEPTEMBER, 6:30 p.m.
Randy Hetrick is the creator of the TRX Suspension Trainer®, perhaps the most prolific piece of exercise equipment in history. He’s been an athlete, Navy SEAL Officer, bootstrap entrepreneur, multi-patented inventor, and growth company CEO. Join us for an evening of inspiration and practical lessons learned. COMMEMORATION TUESDAY 25 SEPTEMBER 6 p.m.
Join us in commemorating the 68th Anniversary of the Korean War. Our guest of honor will be Park Joon-yong, Consul General of the Republic of Korea in San Francisco. This event is graciously underwritten by Mr. Don Reid. Please register early online or by calling (415) 673-6672 x238. SPECIAL EVENT SATURDAY 17 NOVEMBER, 6 p.m.
Mark your calendar for the Marines' Memorial's 72nd Marine Birthday Ball, with Guest of Honor Richard V. Spencer, Secretary of the Navy! The evening includes the traditional commemoration and cake cutting, formal dinner, dancing and live music. 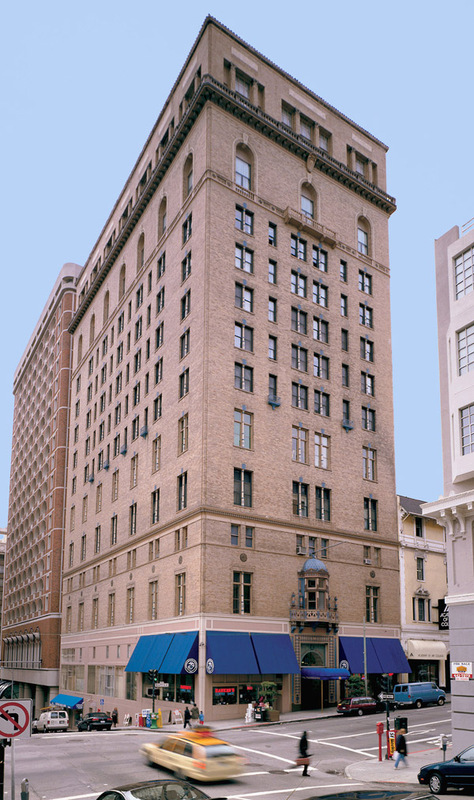 Tickets to the Ball are required to reserve a hotel room (2-night min.). SPEAKER EVENT WEDNESDAY 5 SEPTEMBER, 6:30 p.m.
Join acclaimed author and psychologist Steven Pinker for a powerful conversation about human nature, a defense of knowledge and the case for science, reason, humanism and progress. In Pinker's view, the world is improving, and there's never been a safer and better time to be alive. MUSIC FRIDAY 14 SEPTEMBER 7:30 p.m. In a career that has spanned 30 years, Steven Curtis Chapman is the most awarded artist in Christian music history, with 58 Gospel Music Association Dove Awards, five GRAMMYs, an American Music Award and 48 No. 1 singles. This will be a great night for the entire family. Don't miss it! SPEAKER EVENT MONDAY 17 SEPTEMBER 6:30 p.m.
After Hurrican Maria, José Andrés and his nonprofit World Central Kitchen made it their mission to repair Puerto Rico through his favorite medium: food. Andrés not only fed thousands of people but also provided a framework for what humanitarian relief should look like. SPEAKER EVENT TUESDAY 18 SEPTEMBER 6:30 p.m.
MUSIC SUNDAY 23 SEPTEMBER 7 p.m.
Diaspora Arts Connection proudly presents this world-renowned contemporary singer and musician of Kurdish ancestry from Turkey. Join us for an evening of Aynur's soulful music, which is based on traditional Kurdish folk songs blended with Western music, creating her own modern style. ENTERTAINMENT MONDAY 24 SEPTEMBER 7:30 p.m. Cast members from the touring cast of the Tony Award-winning Broadway show, The Phantom of the Opera, will be joined by cast members from the touring cast of On Your Feet, the Gloria and Emilio Estefan story for an evening of music, dance and comedy. Proceeds benefit the Richmond/Ermet Aid Foundation. MUSIC THURSDAY 27 SEPTEMBER 8 p.m.
Star of Catch Me If You Can and Next to Normal, Aaron Tveit comes to SF from the Pre-Broadway tryout of Moulin Rouge. Aaron’s TV credits include Danny Zuko in “Grease Live.” He also played Enjolras in the film adaption of Les Miserables. He will be performing songs from his solo CD "The Radio In My Head". WEDNESDAY 12 SEPTEMBER 5 p.m. This is a great way to get to know the Club, your fellow new recruits, and the Membership team. It's MMA 101: All about membership, Club events, the Living Memorial, how to host or sponsor an event, plus a tour of the building. We look forward to seeing you! FALL WEDDING SHOWCASE THURSDAY 27 SEPTEMBER 5:30 – 7:30 p.m. Please join us and invite your friends to discover our unique and historic wedding venue. Enjoy cocktails, food and fun, plus meet our Chef, preferred vendors and event coordinators. Space is limited, so be sure to RSVP. The 2018 Fall Wedding Showcase is FREE for couples with a confirmed booking with us. Are you planning to travel? As a member, you have reciprocal privileges at over 240 private clubs around the world! The complete listing of our Reciprocal Clubs, including addresses and contact information, is available for download here. MEMBERS ONLY TUESDAY – FRIDAY 4 – 6 p.m. The Flying Leatherneck Lounge on the Club's 2nd floor is a great place to run into old friends and meet new ones. If you're staying here, Happy Hour is complimentary. Why not stop in this week? Marine's Memorial Association © 2019 All rights reserved.